Funeral service for Samuel T. Gassert, 72, of Morristown will be held on Sunday, April 30, 2017 at 4:00 pm at IslandView Funeral Services, 300 Main Street; Morristown, with Rev. Tom Nichols, officiating. Samuel died on Thursday, April 27, 2017 at the Claxton-Hepburn Medical Center, Ogdensburg. Friends may call at the funeral home on Sunday from 2:00 pm until the time of the funeral service at 4:00 pm. Samuel is survived by his wife of 31 years, Gail of Morristown; by two daughters, Wanda M. (David) Auten of Philadelphia, PA; Dakota S. Gassert of Morristown; two sons, David W. (Heather) Hoffman; Dean P. Hoffman (Sally Barse) all of Morristown; seven grandchildren, Cory Todd; Jessica Hoffman; Alexis Bice; Teegan Bice; Collin Hoffman; Anna Hoffman and Colton Hoffman. Also surviving are a sister, Sonia (Donald) Fisher of Bloomsburg, PA and a niece Heather Walton and Brandon Fisher. Samuel was born November 12, 1944 in Bloomsburg, PA; the son of the late W. Hanley and Pearl (Shuman) Gassert. He graduated from Bloomsburg High School in 1962. On June 5, 1985, he was joined in marriage to Gail E. Showers in Bloomsburg, PA. Samuel was a carpenter and farmer for most of his life. He also worked in maintenance at the Geisinger Medical Center in Danville, PA.
Samuel enjoyed being outdoors; he loved horses, farming and gardening, but the real joy in his life was when he was spending time with family and his grandchildren. To share a photo or condolence or to send food and flowers, please visit www.islandviewfs.com. 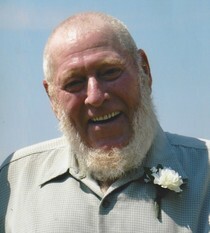 IslandView Funeral Services of Morristown is serving the family of Samuel T. Gassert. We are very sorry for your loss.. may your memories bring you peace. So sorry to hear about Sam. Please know that my thoughts and prayers are with you at this sad time.